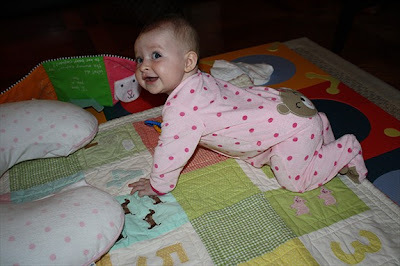 My niece Avery is oh-so-close to crawling. Right now, she can only scoot her way backward, but by the holidays I'm sure she will be tough to keep up with! Check back at noon for this week's Hump Day Giveaway!